This U.S. Mint numismatic sales report covers the week ending March 26, 2017. During this period, the Mint launched one new product: the 2017 American Eagle silver Proof coin, which was released at noon on Thursday, March 23. Released today (March 29), but not on the current report, was the annual Proof Set (17RG), which contains S-Mint Proof strikes of the five 2017 American the Beautiful quarters, along with the 2017 Native American dollar, Kennedy half dollar, 2017 Roosevelt dime, Jefferson nickel, and Lincoln cent. Next week, April 3–7, will be one of the most active weeks of the year for Mint product releases. Three items will be made available for sale, beginning with Monday’s release of the ATB Frederick Douglass National Monument bags and rolls (17ABD–17ABF and 17ARD–ARF). The annual Congratulations Set (17RF) comes up for sale at noon on Tuesday, and on Thursday, the 2017 American Liberty high-relief gold coin (17XA)—the Mint’s star coin of the year—will be released. 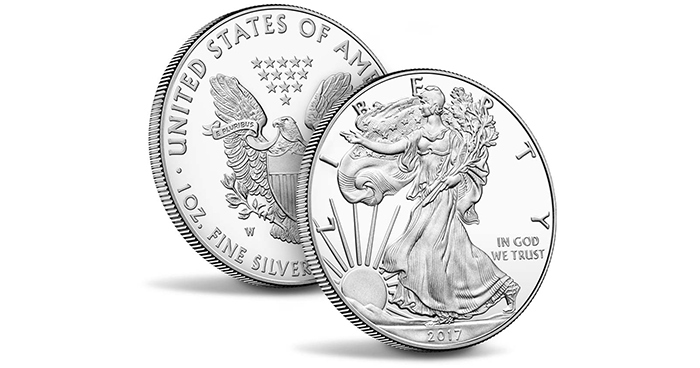 The Mint’s sales figures were dominated last week by the 2017 American Eagle 1-ounce silver Proof coin (17EA), which, in just three days on report, sold more than a quarter-million units (233,010, to be exact)—a bit of a bright spot after a few weeks of tepid sales for the Mint. It was followed by the 2016 ASE Proof (16EA), with 4,070 units sold, and the 2016 ASE Uncirculated coin (16EG), with 3,673 sold. The 2017 Lions Clubs International silver $1 Proof coin (17CH) and 2017 Boys Town silver $1 Proof coin (17CC) ranked fourth and fifth, respectively, with 2,253 and 1,727 units sold. Sales for the gold coins in the Boys Town program remain especially anemic. 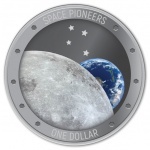 To date, just 1,351 of the $5 Uncirculated coins (17CB) have sold, and 4,898 of the $5 Proofs (single-coin sales for item 17CA, 1,017; sales in three-coin sets, item 17CG, 3,881). The 2017 Kennedy half-dollar bags (17KA) were adjusted downward by 863, for a total of 3,507 sold; the Kennedy rolls (17KB) were adjusted by -664, for a total of 12,197 sold. Four products—all sets from 2015—are newly reported unavailable: the ATB Quarters Proof Set (Q5G) and Silver Proof Set (Q5H), and the U.S. Mint Proof Set (P17) and Silver Proof Set (SW2). The Mint Sales Report is the main reason I visit Coin Update at least once a week – but now a second week has gone by without a report. (Today is Friday, April 14, most recent report posted Wednesday, March 29.) Hope this is resurrected soon! @JR_in_Mass, my apologies for the delay. The Mint’s updates have been stalled and/or incomplete for some reason, possibly because they’ve been redesigning parts of the website. I’d postponed the numismatic sales report for the week ending April 2nd because the Mint’s precious-metals figures for that week were incomplete (I try to run the two reports back to back). The precious-metals data seem to be catching up, but now the numismatic data are behind — the Mint hasn’t reported any sales info since April 2. I’ll go ahead and post the report for the April 2 data today, and hope the Mint gets caught up in its reporting so we can get fully back on schedule next week!